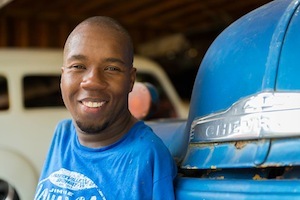 (by Thomas Sowell, National Review) – A friend recently sent me a link to an inspiring video about an upbeat young black man who was born without arms (see video below). It showed him going to work — unlike the record number of people living on government payments for “disabilities” that are far less serious, if not fictitious. How is this young man getting to work? He gets into his car and drives there — using controls set up so that he can operate the car with his feet. What kind of work does he do, and how does he do it? He is involved in the design of racing cars. He sits at his computer, looking at the screen, with the keyboard on the floor, where he uses his toes as others use their fingers. But our culture has changed so much over the years that the young man with no arms is unlikely to get comparable publicity. Helen Keller’s achievement was seen as an inspiration for others, but this young man’s achievement is more like a threat to the prevailing ideology of our times. The vision on which the all-encompassing and all-controlling welfare state was built is a vision of widespread helplessness, requiring ever more expanding big government. Our “compassionate” statists would probably have wanted to take this young man without arms, early on, and put him in some government institution. But to celebrate him in the mainstream media today would undermine a whole ideological vision of the world — and of the vast government bureaucracies built on that vision. It might even cause people to think twice about giving money to able-bodied men who are standing on street corners, begging. Victimhood is where it’s at. If there are not enough real victims, then fictitious victims must be created — as with the claim that there is “a war on women.” Why anyone would have an incentive or a motivation to create a war on women in the first place is just one of the questions that should be asked of those who promote this political slogan, obviously designed for the gullible. The real war — which is being waged in our schools, in the media and among the intelligentsia — is the war on achievement. When President Obama told business owners, “You didn’t build that!” this was just one passing skirmish in the war on achievement. The very word “achievement” has been replaced by the word “privilege” in many writings of our times. Individuals or groups that have achieved more than others are called “privileged” individuals or groups, who are to be resented rather than emulated. The length to which this kind of thinking — or lack of thinking — can be carried was shown in a report on various ethnic groups in Toronto. It said that people of Japanese ancestry in that city were the most “privileged” group there, because they had the highest average income. What made this claim of “privilege” grotesque was a history of anti-Japanese discrimination in Canada, climaxed by people of Japanese ancestry being interned during World War II longer than Japanese Americans. If the concept of achievement threatens the prevailing ideology, the reality of achievement despite having obstacles to overcome is a deadly threat. That is why the achievements of Asians in general — and of people like the young black man with no arms — make those on the left uneasy. And why the achievements of people who created their own businesses have to be undermined by the President of the United States. What would happen if Americans in general, or blacks in particular, started celebrating people like this armless young man, instead of trying to make heroes out of hoodlums? Many of us would find that promising and inspiring. But it would be a political disaster for the left — which is why it is not likely to happen. Posted at NationalReview.com on November 19, 2013. Reprinted here November 29, 2013 for educational purposes only. May not be reproduced on other websites without permission from National Review. Visit the website at NationalReview.com. 2. Editorial writers often criticize political trends or decisions and sometimes offer an alternative solution to a problem. 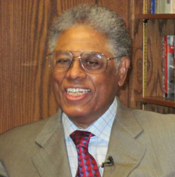 a) What political trend is Thomas Sowell criticizing? b) What solution does he suggest? 3. Do you agree with Dr. Sowell’s assertions? Explain your answer.